Love crime? Love short stories? Ta da! If you’ve read my previous blog posts you’ll know how nervous I was about submitting my story ‘Flatmate Wanted: Smokers Welcome’ to this year’s Crime Writers’ Association anthology so when a copy of ‘Guilty Parties’ dropped through my letterbox this morning I was very excited. And what a very gorgeous, shiny hardback it is too. I’ve written hundreds of short stories over the years but Flatmate Wanted: Smokers Welcome was the first time I’d sat down to deliberately write a crime story and it’s particularly special because it owes a lot to the house I lived in in Worcester when I spent my gap year studying to be a secretary and working in a hotel bar. One of my flatmates – Gavin – was obsessive about the rest of us stealing his stuff and would mark his milk carton with biro to indicate how much milk was left. Sometimes he’d sellotape up the top too. Such antics wouldn’t deter my other flatmate, Martin, who’d use Gavin’s milk for his cup of tea and then top it up with water. I started to think about what would happen if Gavin and Martin started taking things to extremes. Several dark thoughts later and I had my story. It’s possibly the most gruesome thing I’ve written and I’m really quite proud of it. 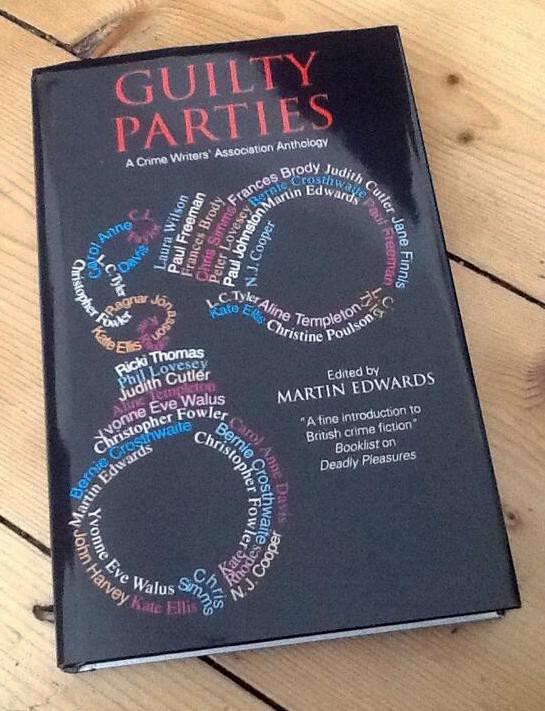 You can order your copy of ‘Guilty Parties’ direct from the publishers Severn House. 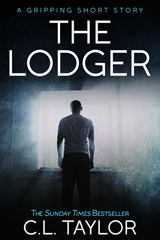 All proceeds go to the Crime Writers’ Association. This entry was posted in CL Taylor short stories, Crime Writers' Association, Guilty Parties, short stories and tagged crime short story about flatmates, crime stories by CL Taylor, Crime Writers' Association, Guilty Parties, house share crime story, inspiration for a crime story, Martin Edwards, UK crime story anthology, writing a crime short story. Bookmark the permalink.